Current Affairs News | How to Choose the Best IAS Academy in Delhi? How to Choose the Best IAS Academy in Delhi? Home > Blog > How to Choose the Best IAS Academy in Delhi? 26 Apr How to Choose the Best IAS Academy in Delhi? In our country, civil services do not merely reflect a job or profession for an individual, but a platform for him/her to contribute towards making the society more healthy and prosperous. Every year thousands of students in our country flock to the country’s capital city, in order to prepare themselves for the UPSC examinations. However, the most important question that remains is how one chooses the best IAS academy in Delhi? Selection of a coaching institute is not something done overnight. You have to carefully assess various defining factors so that you can zero in on the best coaching institute for you. The parameters that help making this decision easier are as enumerated below. Institute’s Reputation – This plays a very important role in deciding which best IAS academy in Delhi will provide the good coaching. An institute’s reputation depends on past results, consistency in producing excellent results, and how dedicated the institute is in producing good results year in, and year out. Some institutes often tend to falsify their results, so you need to be careful while surveying an institute’s past years’ results. Feedback – Feedback from senior students of the institute gives you a clearer idea as what to expect from best IAS Academy in Delhi, how good are their preparation strategies, and how good are their study modules, etc. among other things. 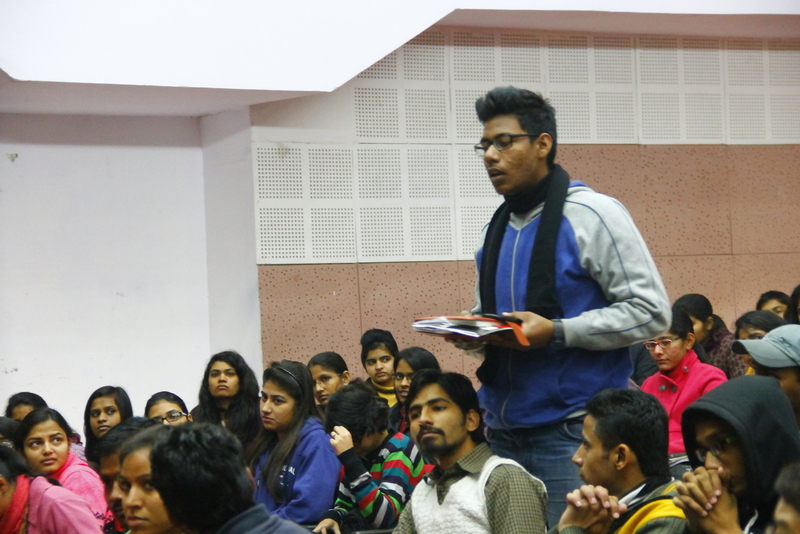 Senior students of an institute have first-hand experience about the teaching methods too. Such feedback can go a long way in getting to know the institute up close. Faculty – Every institute has their own set of distinguished faculty members. It is up to you to decide which institute has the more experienced and trained faculty, learning from whom would all but guarantee you success. Are they committed to seeing their students right through to the end? Is the faculty available during leisure hours and are they easily accessible? How good are their tips and tricks in helping you out in the most difficult of questions with ease? These are very important questions that need to be looked into before you finalize a particular institute for helping you achieve your dreams. Institute’s Attitude towards Coaching – Civil services examinations needs your undivided dedication towards achieving your goal of becoming an IAS officer. An institute’s attitude plays a pivotal role in making sure that you do not stray from your path to success. A best IAS academy in Delhi should keep you engaged with regular mock tests, open discussions, etc. so that students can bring forward their issues, be result oriented, and most importantly, it should be capable of shaping your talents to achieving success. Institute’s Dedication – Off late, many institutes have cropped up across the country making false promises that they can help you reach your goals, when they are simply money oriented. Be careful of institutes that make such tall promises but fail to deliver. An institute should make your dreams theirs and help you accomplish them all along till the end. Their dedication is as important as yours. The institute should lift you up when you fail and keep you motivated to achieve your dreams against all odds. Measures Taken for Individual Interest – Every student has different requirements in their preparations for the examinations which may not be met in the classroom. Special teacher-student sessions should be provided so that the students can put forth their difficulties and the teachers can address them. Only the best institutes make way for such provisions. It goes a long way in establishing better teacher-student understanding. In a city as vast as Delhi various institutes claim to be the best in different fields of education, but one needs to carefully and intelligently decide which institute actually stands out. Classic IAS Academy is one such institute. They boast of highly trained and experienced faculty, pay attention to participatory and interactive learning, conduct regular tests and surprise tests. They also provide accommodation separately for boys and girls for its outstation students on chargeable basis. Classic IAS Academy’s previous years’ results also speak for itself and they easily stand out as the top IAS institute in Delhi. Hopefully, by correctly assessing these factors, you can choose the best institute that helps you achieve your dreams. The Classic IAS Academy is regarded as the Best IAS Institute in Delhi. The Academy steadily works towards realizing the dreams of both the Hindi and English students to participate in the civil service examination. The Academy also conducts seminars and workshops with the help of experts in order to train the student to think, feel and express like civil servants.